3,4-METHYLENE-DIOXYMETAMPHETAMINE (“MDMA”) is the chemical name for “ecstasy.” It is a synthetic psychoactive drug that possesses the stimulant properties of methamphetamine and hallucinogenic qualities most similar to mescaline. MDMA is not new. It was first developed in 1912 as an appetite suppressant by the German pharmaceutical company Merck. During the late 1970s, psychologists and psychiatrists used the drug as treatment for psychological and emotional disorders. Street use of the drug became popular in the 1980s; it became illegal in the United States in 1985. In its purest form, ecstasy is a white crystalline powder with a musty odor. It may also have a reddish or brownish color as a result of impurities. It usually comes as a tablet, capsule or in powder form and is usually taken orally, although it can be injected. 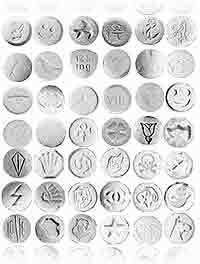 The quantity of MDMA can vary from 9mg to 117mg per tablet.